Synchronicity plays a big role when you're traveling or living in a foreign country. Yesterday this page torn out from a magazine fell off the wall - a reminder I should visit the stained glass exhibit before it closes (September 21). 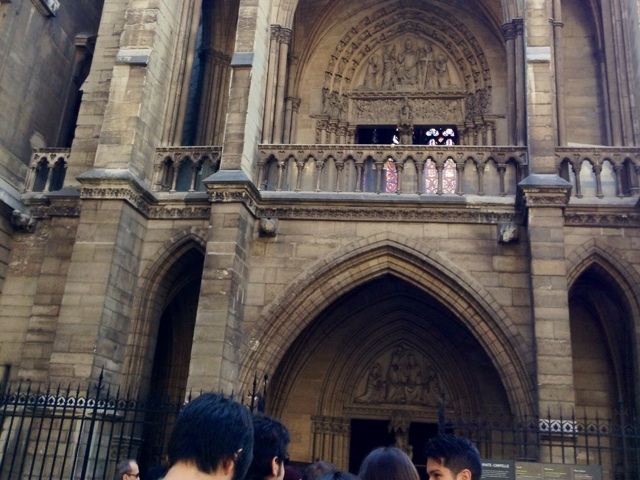 On Monday Angels in Paris architecture expert, ROSEMARY FLANNERY invited me to join her tour the 5th. We stopped to admire the angels outside SAINTE CHAPELLE. I haven't been inside since my first trip to Europe age 18, though I live a short walk away. 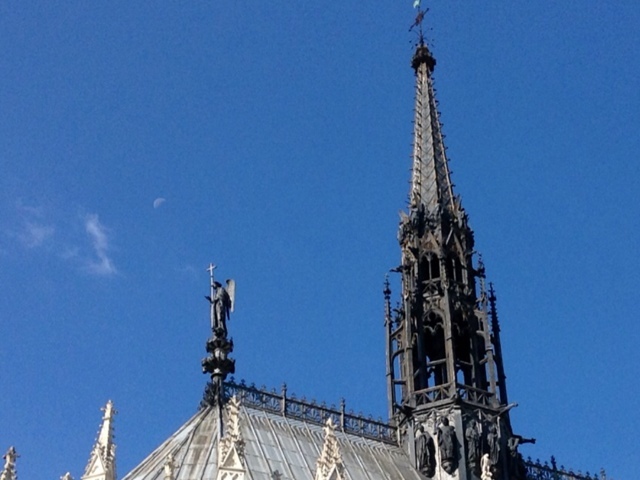 Yesterday seemed perfect to see SAINTE CHAPELLE in the morning and Le Vitrail Contemporain in the afternoon. I suggest you go as early as possible and buy your tickets online to avoid this line I'm standing in. You enter the lower chapel, a confusion of people buying souvenirs. 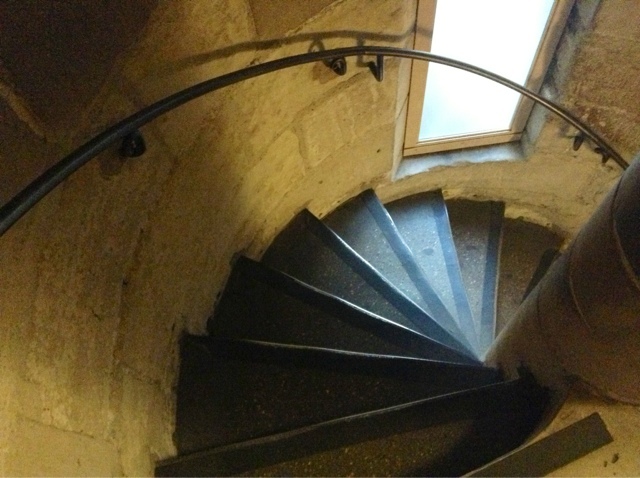 The small stairway to the upper chapel on the right goes almost unnoticed. And painted walls. Fleur de lis everywhere. The portico offers a chance to catch your breath. j Downstairs I was tempted by glass medallions and Medieval tapestry pillows. I left with a postcard. 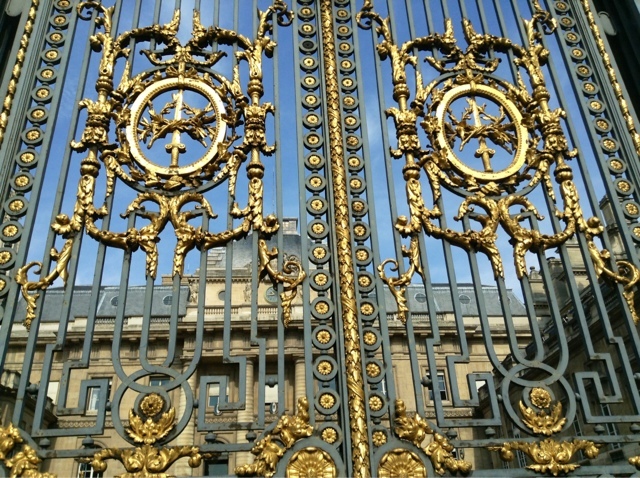 You go out these amazing gates. 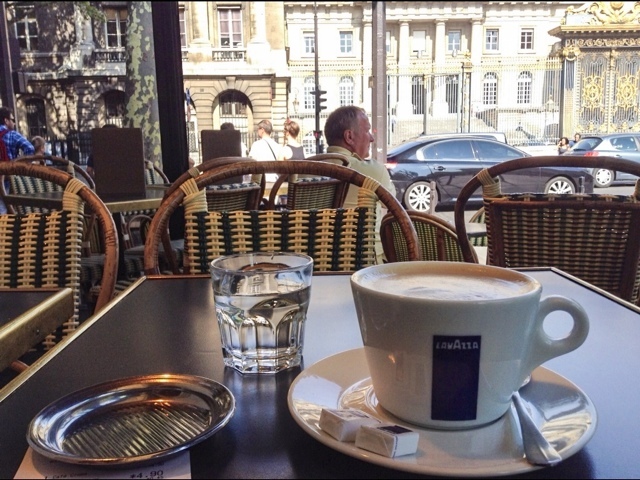 Cross the street to cafe Aux Deux Palais for a café creme and a chance to recuperate. 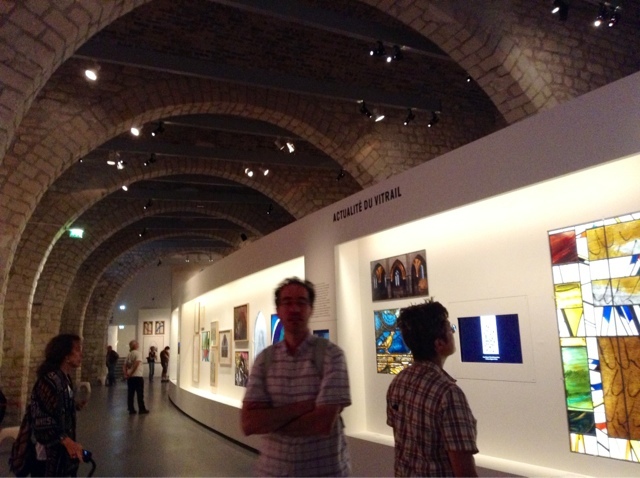 Then take the #9 Metro to Trocadero to the CITÉ DE L'ARCHITECTURE ET PATRIMOINE. The stained glass here is almost as glorious! 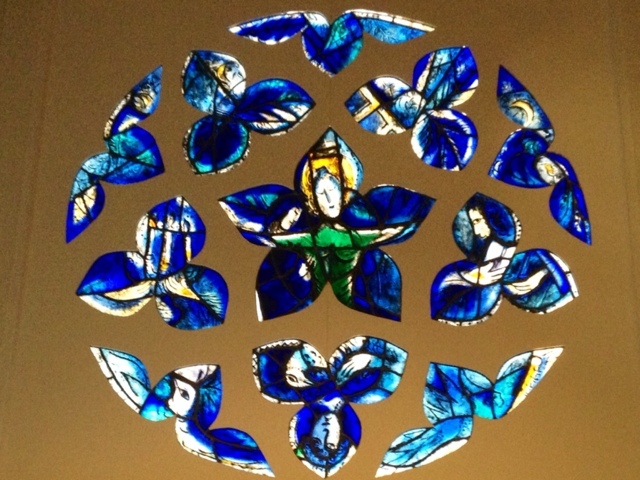 Chagall, and many other renown artists. 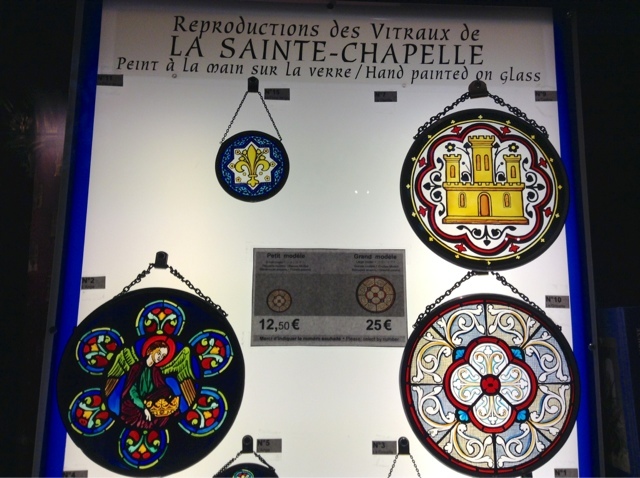 Since 1945 France has been creating more modern art stained glass windows than any other country in the world. There are an astonishing number of churches, many needing restoration after the war. 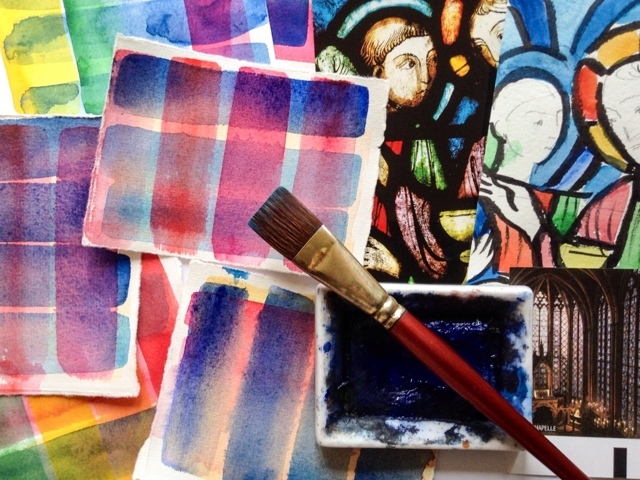 I came home inspired to make my own transparent watercolor layered, stained glass swatches, capturing the blues and reds of Sainte Chapelle. Just buy a Paris letter or map subscription or renew. 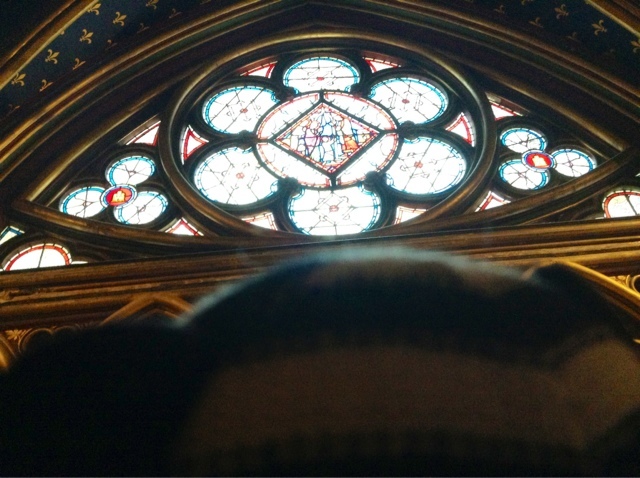 Once upon a time I attended an evening concert at Sainte Chapelle. Mozart's Jubilate, Exsultate by candlelight. I no longer need to speculate about heaven. They still have them Judith. It's not 'little'. They are over-sized Winsor & Newtons. Love em. It did seeem large..I overuse the word little..and other words like love ..and cute etc.. I think you have spotlighted them before and I was smitten then also. 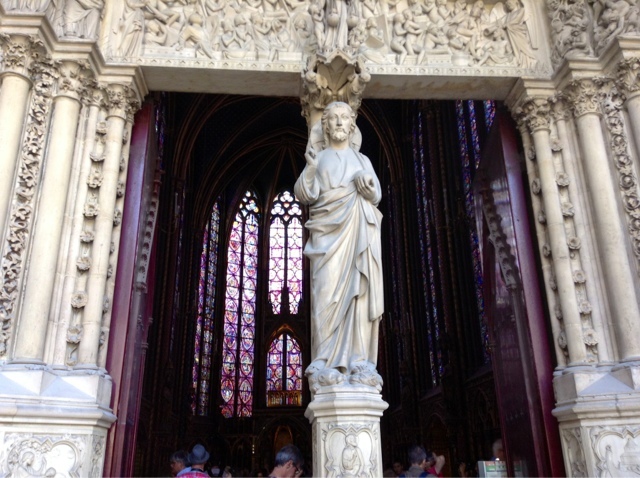 My first visit to Sainte Chapelle was in the summer of 1972. 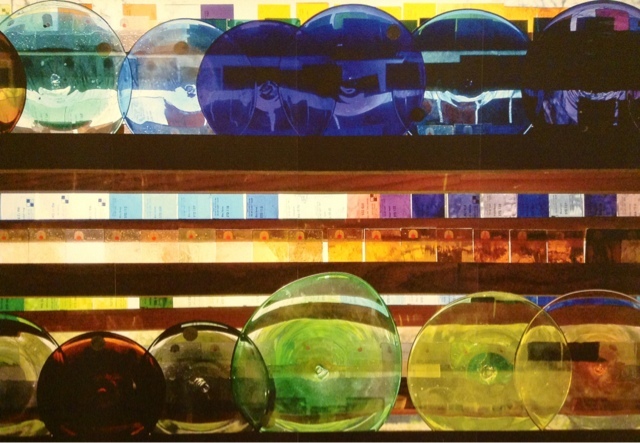 I still remember vividly my astonishment and awe at what I considered a glorious stained-glass bubble! 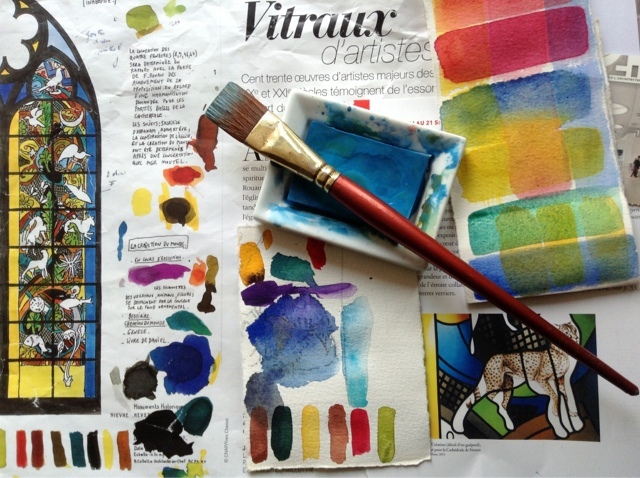 Wow, what a wonderful post and a great balance between Chagall and Sainte Chapelle. 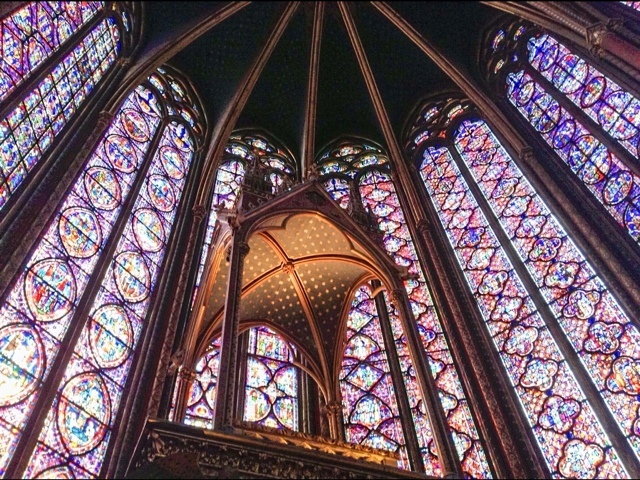 In 2000, I was in Paris for a few days (stayed at the Citadine's on the Seine) and went to a sacred music concert at Sainte Chapelle in the early evening (exquisite light!) and sat and drew in my journal. Thank you for reminding me of that excellent moment. Hi Carol, catching up after vacation on your adventures! And you are in my favorite spot in all the world, the divine Ste. Chapelle.I've been there three or four times (twice for the wonderful concerts) and I remember walking up those stairs -- and the audible gasp I made when seeing those windows for the first time! It dazzles. Speaking of Paris sketches, I love my renewal "pear" painting and am looking for a most suitable frame! Glad you love yr poire!! 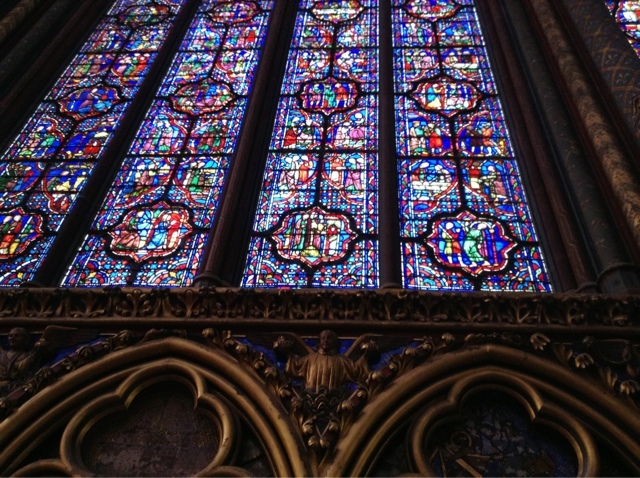 I gasped when I saw you photo of those huge stained glass windows. It's a "must do" next time I'm in Paris. 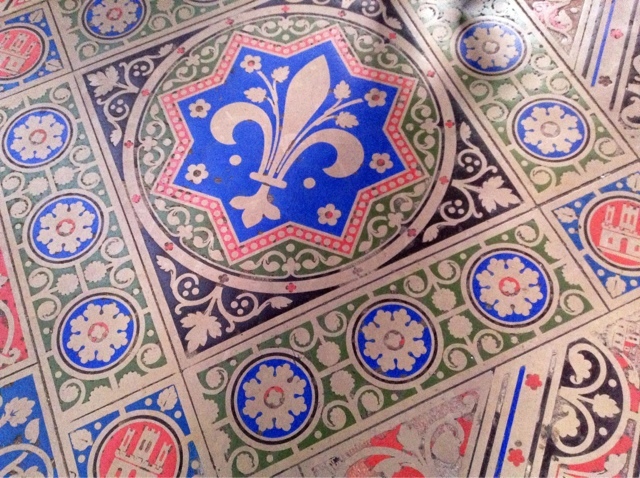 I hadn't been back to Sainte Chapelle since 1989 until last May when we went for a concert of Vivaldis Four Seasons. I'd forgotten how magnificent those windows are and what a beautiful place to listen to beautiful music. A highlight of the trip and a must do on trips in the future. I would suggest you tell Rosemary to check the closed captioning for her little video. The words are pretty bizarre (e.g., 'bomb' instead of 'fountain'). 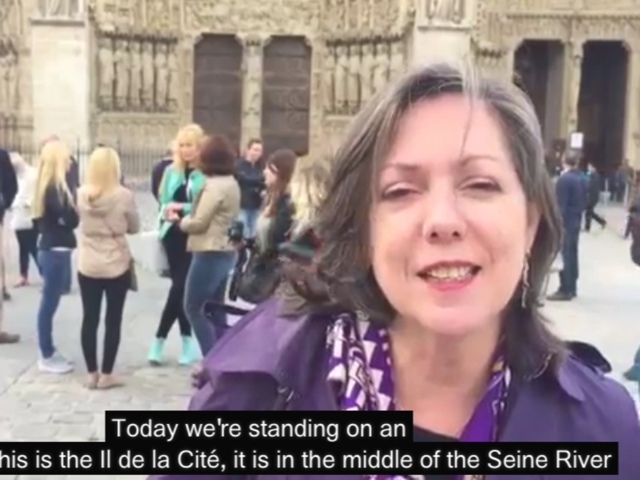 Rosemary is a wonderful tour guide to historic Paris. Fabulous post on my favorite church ever - it can look like a fairy tale palace. How lovely, and it's one of my favorite sites in Paris. I adore your photos and your artistic sensibilities. They are much appreciated as you detail your love affair with my favorite European city!! Thank you, thank you for this! I love seeing these photos so very much. More stained glass windows to come!! I went last nite! THANKS!! 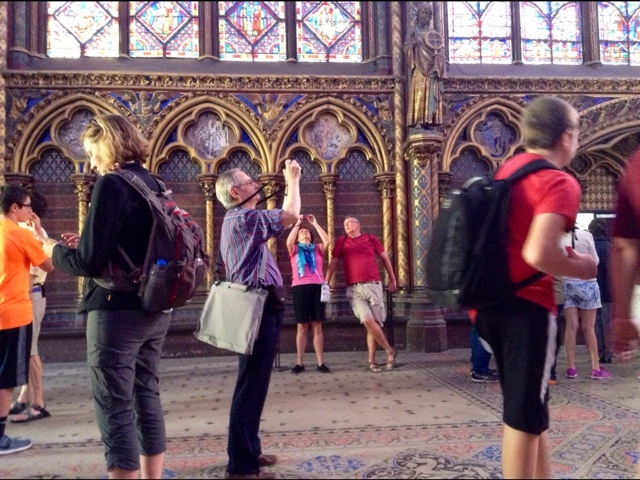 At St. Chapelle one should put all cameras away for a change--and stand in awe...bathed in beauty! I likely would have missed this if not for your Paris Breakfasts. Thank you! In Paris Sept 10-16. I will be able to catch it. Perfect timing. 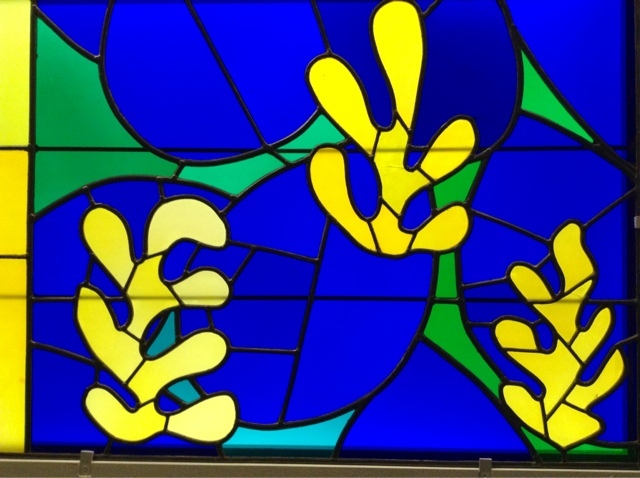 The Matisse glass stopped me in my tracks. 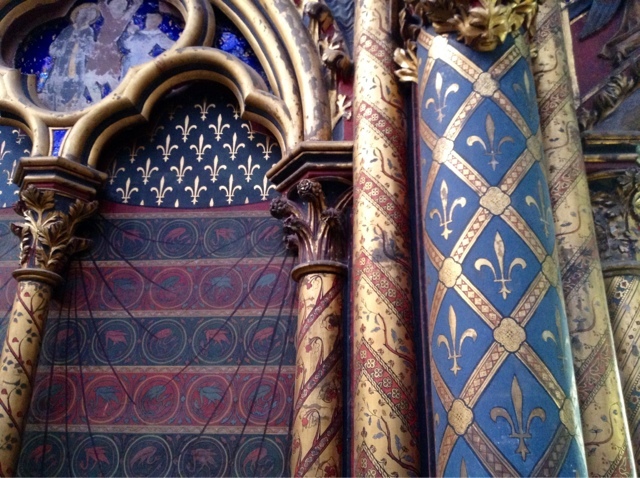 Get your SAINTE CHAPELLE tickets ahead!! 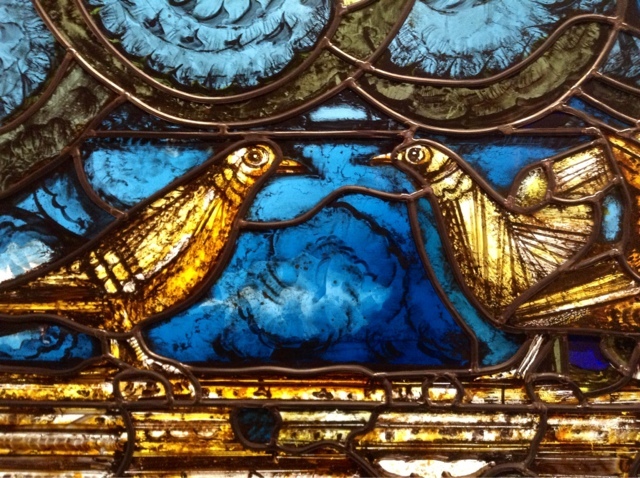 Gorgeous stained glass, Carol. The iPad seems to have done a fine job to me! Good to see Bear, too. 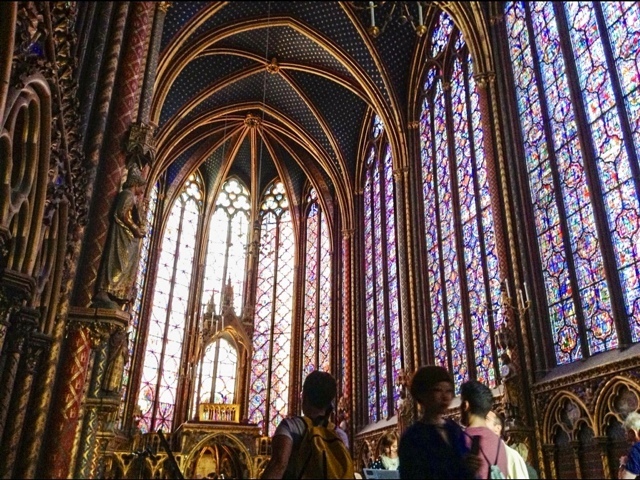 St. Chapelle is the most beautiful man made place in Paris. Thank you for taking me back there. Gorgeous post. Nice to be finally catching up with you, even if I'm not commenting on everything! Life, you know. Ste. C. is my favorite of all the churches. The first time I walked up those tricky steps I just gasped. 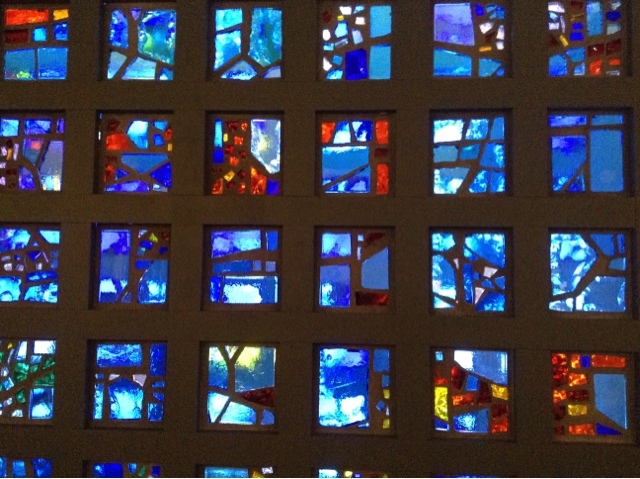 I simply was overwhelmed by the light show streaming through the windows. You managed to get some good shots -- ipad and tourists notwithstanding!